Hair growth is now a days a top most priority for everyone. The current age and stage of stress along with harmful pollution in the surrounding has led to a lot of hair damaging. Be it of any age group people, everyone wants to have a good volume of hair. Fruits are always been considered as a good source of vitamins and fibre. Fruits that help in hair growth do so by making scalp and hair roots grow strong. This ensures a proper blood circulation in the scalp that in turn helps in healthy and natural hair growth! Don’t you know which fruit is good for hair growth? There are so many natural fruits for hair growth. Fruits and vegetables are definitely helpful to growth of hair. Below are few fruits names which are not only beneficial to our health but are also good for hair growth. Drinking pomegranate juice helps in strengthening hair follicles. 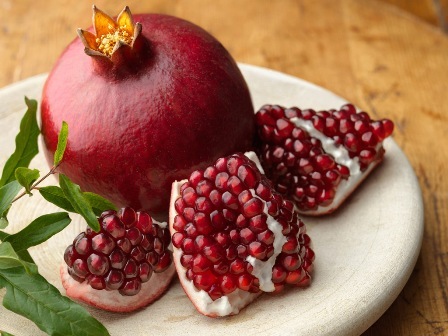 Hair loss can be also prevented by using pomegranate extract. Pomegranate seed oil is used in many spas for hair massage. It stimulates hair growth making hair stronger, thick and healthy. One of the other important benefits of pomegranate is that it helps in combating other hair loss problems such as dandruff, itching etc. The best way to use pomegranate juice for hair growth is by consuming it in its raw or juice form. Another great way is to take pomegranate seed oil in the quantity suitable for your hair length. Massage it on to your scalp generously and then leave it for a few hours or throughout night and wash with your shampoo. You can use this oil once or twice in a month. We have been using the bananas from ancient time but most of the people don’t know this fruit helps to control hair fall and useful for growth of hair. 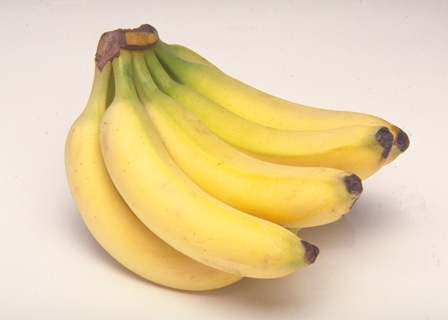 Bananas contain potassium, so when banana paste is applied to the hairs it softens the hair. Banana paste is used in many hair packs for hair growth, give shine and manageability. Bananas contain natural oils that help in soften hairs and protect the natural elasticity of the hairs by preventing split ends and breakage. Apply this mask on your scalp and hair and leave for 30-40 minutes and then wash it off. 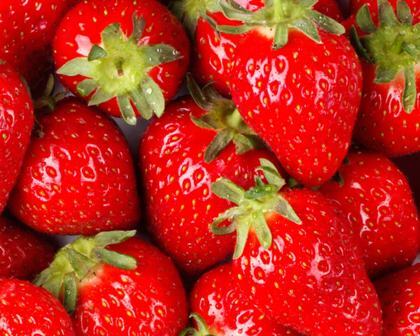 Strawberry is a good source of important minerals such as copper, manganese and magnesium. These minerals produce complexes that can inhibit fungal growth on the scalp. Strawberry also protects the scalp cell membranes from other problems which generally grow when we come in contact with water. This fruit that promotes hair growth also helps to stop hair loss. Take couple of strawberries, around 8-10 depending on your hair length and mash. Add a big spoonful of mayonnaise to this mashed strawberry. Apply all over your hair and leave for 20-30 minutes. This strawberry paste can be applied once in a month. 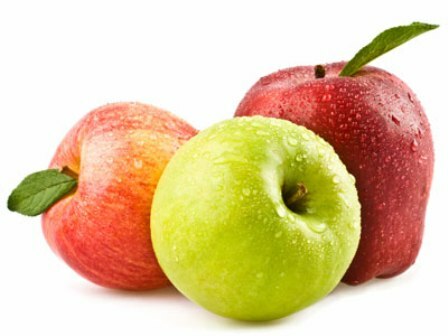 The apple is considered a fruit for healthy hair, the paste of the leaves and skin of green apple works wonders to cure dandruff and promotes hair growth. This paste can be used as a shampoo too. Applying green apple juice is also a simple home-made remedy for strengthening the locks, enhancing hair growth and preventing hair loss. Apple also balances the hair and scalp pH, treating dandruff and hair loss problems. Make apple juice with peels intact. Pour and spread the apple juice all over your hair. Wash it off after 20 minutes with shampoo and water. You can use apple juice on your hair once or twice in a week. It contain lots of vital nutrients including important vitamins and minerals such as vitamin A, B, C, E, K and iron, copper, potassium, magnesium and phosphorus which is very useful in keeping our skin and hair hydrated. Avocado is a great fruit for fast hair growth as its oil adds shine and lustre to hair as well as prevents hair loss and promoting hair growth. 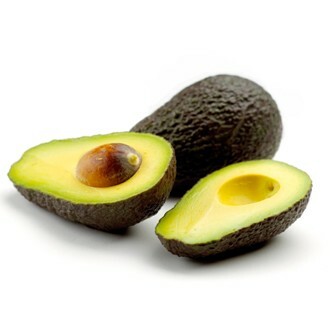 Simple avocado paste when applied in hair conditions the hair too. Take 1 avocado and mash it with the help of a fork. Add essential oil (1-2 drops) and honey enough to make a paste like consistency. Now apply this mixture on your hair and leave in for 20-30 minutes. Avocado paste can be used for hair growth twice in a month. 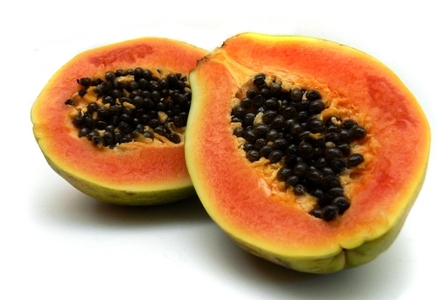 Have you tried papaya fruit for hair growth benefit? try this fruit regularly for better results. Papaya is rich in nutrients which help preventing baldness, and boosts hair-growth giving strengthen to the hairs. It works greatly also for treating and controlling dandruff. Papaya leaf extracts when used as a conditioner on dull, unruly and lifeless hair, it results into thick, strong, shiny and healthy hair. You can consume pieces of papaya for hair growth. You can also drink papaya juice regularly for the same. You can consume papaya regularly or at least twice or thrice in a week. Very commonly available tropical fruit, the pineapple is well known for its health benefits. It helps in digestion of food. 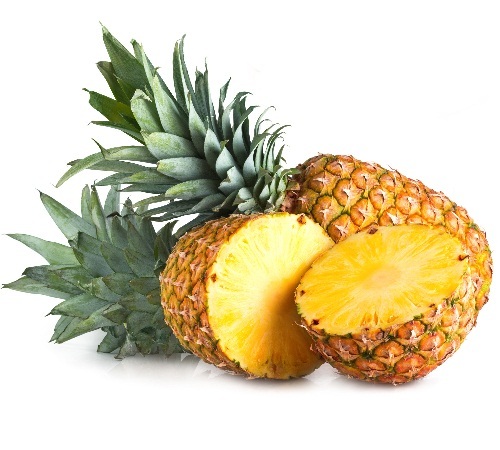 Pineapple contains abundance of beta carotene which is converted to Vitamin A by our body. This Vitamin A manufactures essential oils that maintain the health of the scalp, triggering hair growth thus considered as a fruit used for hair growth. Drink freshly prepared pineapple juice to boost hair growth as well as maintain a healthy body. Pineapple juice can be consumed on an everyday basis or bi-weekly. Grape seed oil has been used since time immemorial to prevent the loss of hair and to maintain the scalp health. 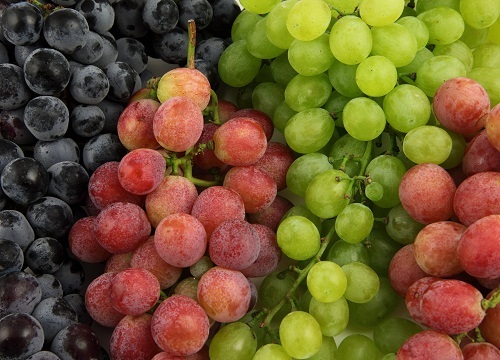 The vitamins, antioxidants and minerals render it one of the best fruit for hair growth. The high-water content of this great fruit for hair growth keeps the body hydrated and checks hair fall. Use store bought grape seed oil on your scalp. Massage really well on the roots. Leave it one for a couple of hours. You can apply this oil weekly or twice in a month. Are you suffering from hair loss problem? Don’t worry apricot fruit that is highly rich in Vitamin E can solve your hair fall problem because apricots contain antioxidants. The presence of many nutrients makes it one of the best fruits for hair growth, and heals damaged scalp naturally. It also acts as a highly effective hair conditioner. Apply apricot oil available in the market on your scalp. Leave this for a few hours or leave in for overnight. 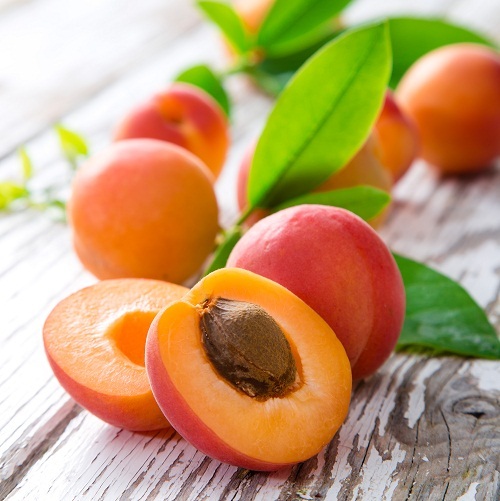 Apricot oil can be applied on hair once in a week or once in every two weeks. Peach is the best fruit for hair regrowth. 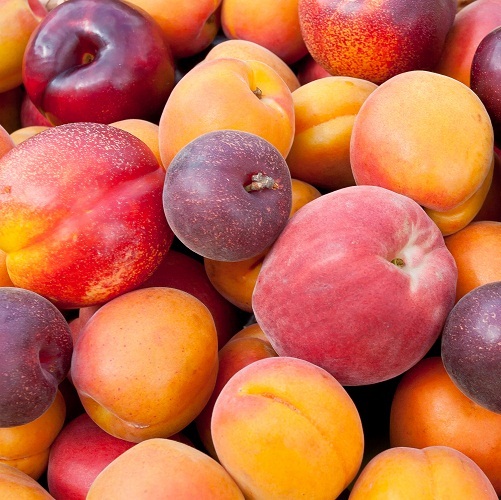 The natural hair growth steroid Biotin is present in peach, which triggers hair growth. It also strengthens the hair and maintains the scalp health. Consumption of the fruit has several health benefits. This peach fruit is one of the best fruits for hair growth without any side effects. Application of peaches is simple, just take a few peaches and make a paste. Add some curd to this paste and reach a nice pasty consistency. Apply this paste and leave on your scalp for some time. 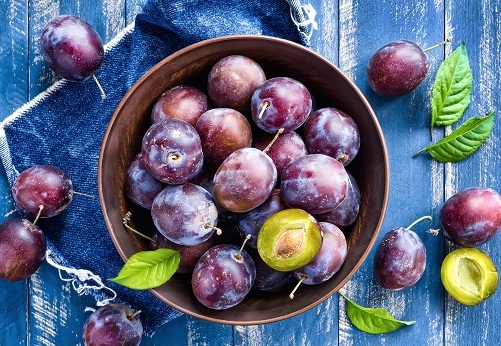 Plums are one of the best sources of bioflavonoid that is necessary to maintain connective tissue of the scalp and hair follicles thus considered as a healthy fruit for hair growth. Consumption of plums regularly ensures strong, thick hair naturally, devoid of any side effects. This fruit controls the hair fall and help to increase hair growth. Plums are the fruits for lazy people because you just have to consume the fruit for healthy hair, no application needed. You can consume two-three plums in a day whenever available seasonally. Adding amla paste or oil in our hair packs conditions the hair to a great extent preventing them from split ends. Dried amla/gooseberry paste is a very helpful fruits good as it helps in opening of the pores helping the scalp to produce natural oils which not only encourages hair re-growth gives extra shine to the hairs. Use amla hair oil, store bought or homemade and warm it a bit. Take this oil and apply generously on your scalp. Wash it off the next day or after a couple of hours. 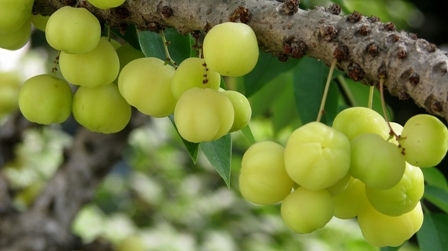 Gooseberry oil can be applied twice in a week or twice/thrice in a month. One of the essential components for hair growth is Vitamin C. Having vitamin C deficiency can make our hairs weak, lustreless, and prone to breakage. Vitamin c in fruits for hair growth helps in preventing premature greying of the hairs. juices of vitamin C-containing fruits help in controlling dandruff and promotes hair growth. 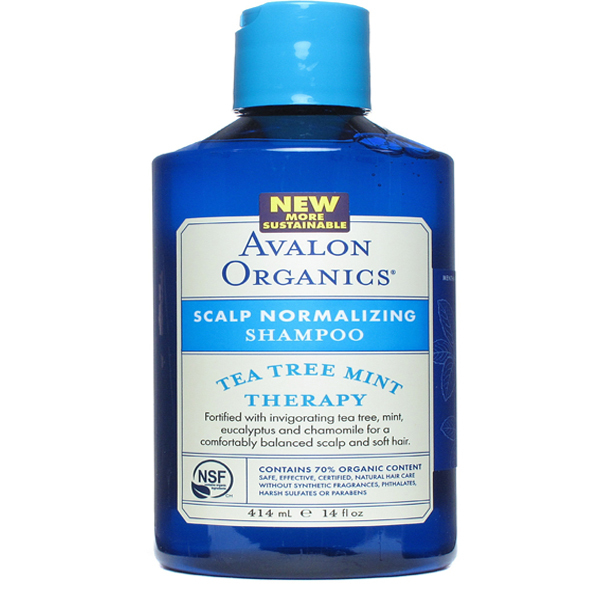 It cleanses the scalp and works as an excellent conditioner giving the hairs volume and shine. Some fruits like passion fruit, guava, black currants, bread fruit and kiwi help in promoting hair thickness as well as growth. 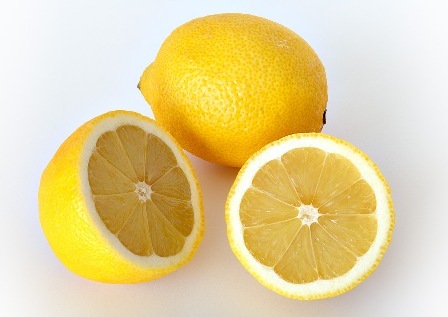 Let the peel of your citrus fruit dry naturally in the sun for some days. Make a powder of this dried peels. Use this powder with oil or other suggested ingredients and apply on your scalp. Rinse after sometime with shampoo and conditioner. You can use this concoction twice or thrice in a month. Rich in antioxidants, this delicious fruit’s application makes your hair grow by improving the blood circulation. The orange fruit also has a high content of Vitamin C which is yet again a great ingredient which makes it one of the best fruits for hair growth, without taking a lot of efforts or investing a lot of time. Take 1 whole orange or two if your hair is too long and oranges too small. Apply generously on the scalp and roots. Rinse it off after a few hours. You can use the orange concoction on your hair once in a month. 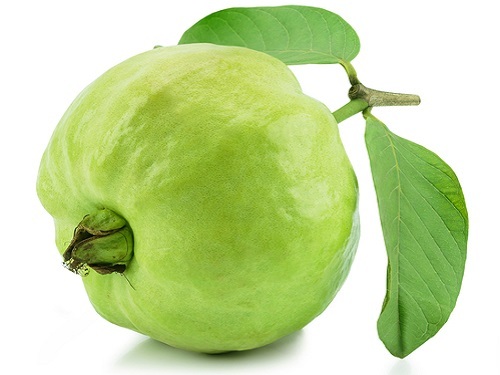 Guava is undoubtedly one of the most beautiful fruit with its pink interiors inside the green seed like exterior. The fruit is easy to consume and thus loved by many. This fruit that we love consuming in its raw and juice form is also a great fruit to make hair grow. Yes, guava leaves contain vitamin C and are a great way to help your hair grow. The application is simple, all you need to do is take some guava leaves and make a paste or watery solution by grinding them, that’s it indeed. Take this solution and apply on your dry scalp, wash it off after 30 minutes. Before using the fruits be assured that you do not face any sort of allergic reactions because of the fruits or any other ingredients included to use or consume. Apart from the fruits mentioned above, make sure to eat and include other fruits and foods in your diet too so that they help in maintaining and well being of other needs and requirements of the body. Make sure to sleep and exercise well as without these two things, nothing will work in your benefit. If you face any reactions or side effects after using any of the fruits in the suggested manner, immediately stop the application or consumption and consult a dermatologist. Fruits are not only good for hair but also for nourishment of our entire body. So, consumption of every healthy fruit for hair growth means a healthy upgrade to your life. The choice is simple and the choice is yours. Start as early as possible to use these effective fruits to get out of from the problem of hair loss which can promotes hair growth.So go ahead, grab a fruit and get down to some magic. ← Previous Story 21 Amazing Health Benefits Of Oranges (Santra) With Nutrition Facts !